Help us empower students and change lives through music and dance! 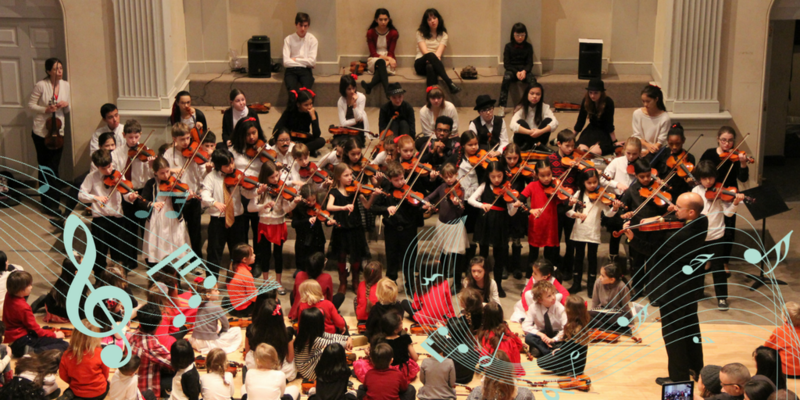 We connect more than 5,000 students with music and dance instruction in NYC each year. Music has the power to bridge cultures, distances and generations. For more than 123 years, Third Street Music School Settlement has been changing lives by providing New Yorkers of all ages and backgrounds with high-quality music and dance instruction. Our exceptional teachers and nurturing environment foster creativity and build self-confidence, contributing to students' development both as artists and individuals. Third Street creates artistic and welcoming spaces for people to connect through movement and music making. Third Street relies on the generosity of supporters like you who share our belief that music connects us, enriches lives and makes our community stronger. Charitable gifts of any amount may be made throughout the calendar year and are fully tax-deductible. Thank you for your support of the Third Street Music School! In honor of Peter Flint Jr.’s great work for musicians everywhere. In honor of Marilyn Singer on her birthday and Steve Aronson on his amazing work. Happy Birthday! A great cause!! Third street music school and its teachers changed my life. Harriet Wingreen, pianist at the NY Philharmonic for nearly 50 years, died on August 26, 2018. She spoke often of her excellent training at Third St. In memory of Pearl Romero.